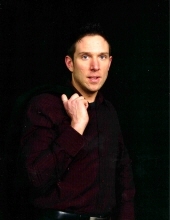 Aaron K. Johnson, 44, of Rochester, passed away peacefully in his sleep on March 18th while at home. Memorial services will be held at Boldt Funeral Home, Faribault on Saturday, April 13, 2019 at 2 p.m.
A memorial visitation will be at Boldt Funeral Home, Faribault on Saturday for one half hour prior to the services. Aaron was born to Kenneth and Lillian Johnson in Fridley on January 13,1975. He graduated from high school in Forest Lake, then went on to Century College and later pursued studies in law at the University of Minnesota and Hamline University. During those years he worked primarily at Don Pablo's restaurant in Roseville and Joe's Garage restaurant in Minneapolis. He moved to Faribault where he went to work for the local Walmart and after a promotion to Assistant Store Manager, he accepted that position with Walmart in Rochester. Aaron is survived by his parents, Kenneth and Lillian Johnson of Faribault; one sister, Tamara (Dave) Bonnifield; loving nieces Trista, Savanna, Miranda, and Ambria Bonnifield all of Janesville. He was preceded in death by a sister, Genell, and a brother, Baby Kenneth. "Email Address" would like to share the life celebration of Aaron Kenneth Johnson. Click on the "link" to go to share a favorite memory or leave a condolence message for the family.